Entrepreneurship: Is starting from scratch better than joining an established team? I’ve spent the last four years developing a novel medical education company: The Unofficial Guide to Medicine. We have used medical students and junior doctors to drive every aspect of publishing, including: commissioning books, writing, graphic design, print specification and marketing. We started from nothing – we wrote books in our bedrooms and sold them from the boots of our cars. Now, however, we work with over 500 people, sell books in over 50 countries, and have won recognition from several major medical establishments such as the BMA and the Association of the Study of Medical Education (ASME). There is a very obvious question, given all the associated risk, particularly financial. Was it really worth doing everything from scratch? Personally, being able to realise your own vision makes the risk worthwhile. However, I learned a lot of lessons along the way. Below I outline three keys messages I’d give to anyone considering their own start up to maximize the chance of success. Understand your own motivations, and acknowledge they will change with time. It’s important to be honest with yourself about what you want to achieve. A start up can be aimed at producing a useful product, making money, building professional connections, learning new skills, as well as a myriad of other things. 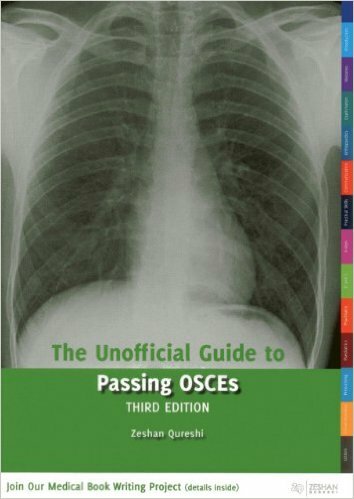 When I first started with The Unofficial Guide to Medicine, I was very much interested in creating a useful product, and was obsessed about every detail of our first book, The Unofficial Guide to Passing OSCEs. I read through the final version of the book 23 times before I signed it off. However this was not the case for our most recent book, The Unofficial Guide to Medical Research, Audit and Teaching. I recognised that one of my co-editors, Tiffany Tang, then a medical student, was incredibly able and passionate about the vision. As such, early on in the project I let her take the lead, and I took a step back. The book was published before she graduated, and it won a BMA medical book award that year. I found that taking a mentorship role and helping others reach their potential gave me great satisfaction, and giving Tiffany the breathing space she needed to lead the book was worth it. Administration tasks. These are simple day-to-day logistical tasks that need to be done to keep things moving, like responding to emails, organising deliveries, paying invoices etc. Alone, it’s easy to get overwhelmed by this, but it can very easily be delegated with a clear briefing. I now deal with only 10% of emails that come to the Unofficial Guide to Medicine, compared to 100% at the start. Expert advisors. What I’ve come to most value is expert input to guide on big business decisions, so catastrophic errors are avoided. I work with so many experts, such as professional publishing advisors, accountants, lawyers, bank managers and distribution services. Their help means I never make a big decision on my own. As doctors, we aren’t trained in running businesses, and quite often our ideas can grow faster than we realise, which can expose us to huge risk. I remember when I printed my first book, a £20,000 print job went wrong. This was a hit to my own savings and I really didn’t know what to do, until I spoke to my lawyer. We’d been working together regularly, so he knew my business needs, and we came up with a solution to a seemingly hopeless situation in one phone call. Content developers. You may start thinking that you have a game changing innovative idea. You may well be right, but invariably what you will need to produce is far greater than what you can develop yourself, particularly alongside a clinical career. I started as the chief editor of The Unofficial Guide to Medicine books, then I became a co-editor, then I became a series editor, and now I’m just commissioning books and supporting editors produce material. I have less control over content, but I’m now able to produce far more content and reach a much broader audience. 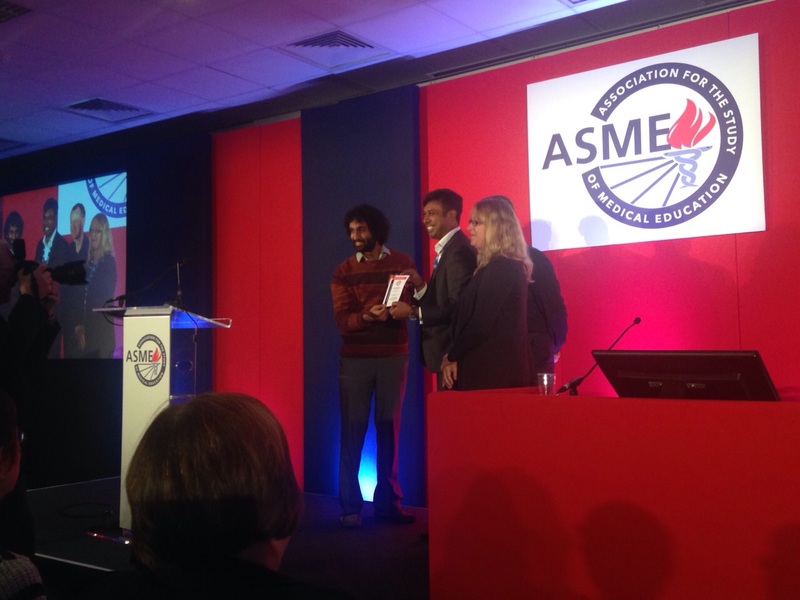 Zeshan collecting The ASME “New Leader” Award in 2016. This is something that took a while to come to terms with: I started off focusing solely on producing books. I felt they would speak for themselves. I think in retrospect that was naïve. You have to take the time to not only work out how to reach your customers, but also to find ways in which your work can be professionally recognised. In 2016, I won the “New Leader” award from ASME. But they would have never known about my work if I didn’t google ‘medical education awards’. The award opened doors for me, and I was subsequently invited to speak at a leadership course filled with medical school deans, professors, and senior academics. This would never have been possible if I hadn’t done that initial google search. So these are my three tips. Time for you to get started! Zeshan Qureshi is a Paediatrician based at Great Ormond Street and the Institute of Child Health. He graduated with Distinction from the University of Southampton, and has published and presented research work extensively and internationally in the fields of pharmacology, global health and medical education. “The Unofficial Guide to Medicine” is a textbook series led by Zeshan. These books are based on the philosophy that junior doctors and fresh graduates know how to express complex ideas in order for it to be easily understood from a student’s perspective. In 2015, Zeshan won the “New Leader Award” from the Association for the Study of Medical Education (ASME) in recognition of his services to medical education in his career to date.